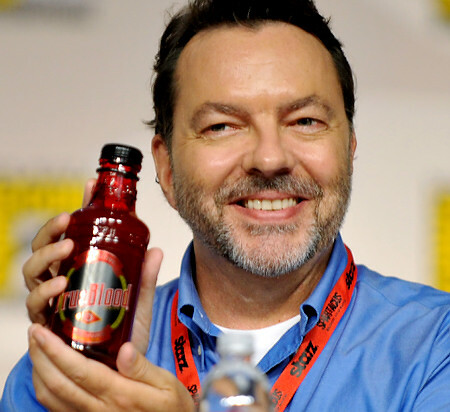 Alan Ball Steps Down as Showrunner for HBO’s ‘True Blood’!!! This is HUGE. And not good. In my opinion, Ball is one of the most talented showrunners in tv history. Without him on ‘True Blood’, I can very much see this not being as good as it once was. And with Ball out, I’d bet dollars to donuts there is going to be a major revamp to crew and writing on the series. HBO released the following statement. When we extended our overall deal with Alan Ball in July 2011, we always intended that if we proceeded to True Blood’s sixth season that Alan would take a supervisory role on the series and not be the day-to-day showrunner. If we proceed to season six, the show will remain in the very capable hands of the talented team of writers and producers who have been with the show for a number of years. This is the best possible world for both HBO and Alan Ball. Alan will remain available as executive producer to consult and advise on True Blood and he will be free to develop new shows for both HBO and Cinemax. Banshee, on which Alan serves as executive producer, is the first in house series for Cinemax and is expected to begin production this spring. There is no replacement at this time according to HWR. But, Alan Ball has a couple of projects in the works right now. One is called ‘Banshee’ which is a crime drama set to be released on Cinemax with ten episodes. The other one is called ‘Wichita’, which is an hour long medical drama for HBO about a surgeon in Kansas who becomes the main target in a all out war on late term abortions. We here are Boomstick will fill you in on all the details forthcoming surrounding this story. This entry was posted on Monday, February 27th, 2012 at 9:01 pm	and is filed under News, Television. You can follow any responses to this entry through the RSS 2.0 feed. You can skip to the end and leave a response. Pinging is currently not allowed. « James Spader Will Exit ‘The Office’!! !